We are happy to announce that one of our Industrial Affiliates members, Inston Inc., was recently (February 2017) awarded a NSF SECO grant. TANMS collaborated with INSTON to submit a SECO (Small-Business/ ERC Collaborative Opportunity) Supplemental Funding Opportunity available to current NSF SBIR Phase 2 awardees that collaborate with current NSF ERCs. Award details and abstract is available at https://www.nsf.gov/awardsearch/showAward?AWD_ID=1430815&HistoricalAwards=false . Working with TANMS under this SECO supplement, Inston plans to achieve ambitious memory device metrics that go beyond those originally outlined in its Phase II program, to support its technical roadmap for the 20 nm CMOS technology node and beyond. Inston plans to achieve this by leveraging the joint expertise at Inston and TANMS. In particular, the expertise and facilities available within TANMS with respect to strain engineering of nanomagnetic devices – both modeling and experimental – will significantly accelerate Inston’s progress to achieve this technology milestone. This partnership will make MeRAM devices compatible with CMOS 20 nm and below nodes without the need for high-voltage transistors or charge pumping, hence achieving higher-density memory arrays. Based on Inston’s interactions with customers and semiconductor foundries, it sees a large opportunity at these technology nodes for MeRAM to replace high-performance embedded SRAM. In particular, while recent public announcements from foundries (Samsung and Global Foundries) have confirmed that magnetic memory will be available within two years at the 28 nm node, there is a pressing need to develop solutions for the 20 nm node and below, as well as to achieve higher speed to replace SRAM (currently not possible with spin torque MRAM, which is too slow compared to SRAM Cache memories). This is driven by the scaling challenges of current-controlled spin-torque MRAM to achieve competitive performance at 20 nm and below nodes, where our voltage-controlled MeRAM offers a clear performance-density advantage. 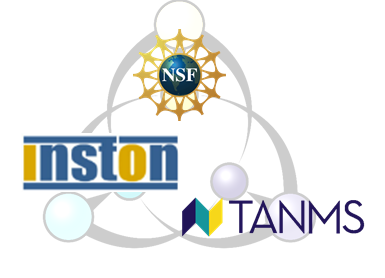 We are looking forward to collaborating with Inston Inc on this exciting NSF SECO!